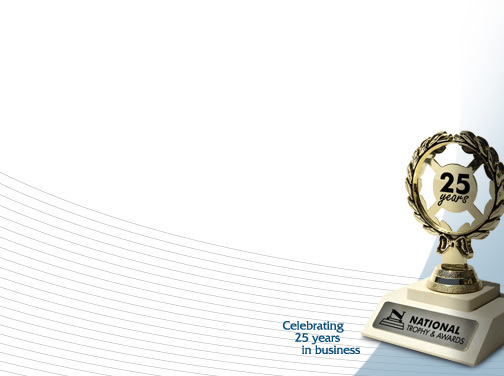 Welcome to National Trophy & Awards, Inc. We are a custom manufacturer and engraver of quality awards, signs, badges and industrial engraving plates; all done in-house! All of our quality craftsmanship is guaranteed to be done right - with perfect craftsmanship! Established in 1982, National Trophy & Awards opened in a one room retail shop with only 1 manual engraver and a very limited stock. After over 30 years there are now 2 computer engravers, 1 laser engraver, a complete silk-screening shop and beautiful showroom - and we still use our manual engraver! you get to meet them! Stop by and let one of our Customer Service professionals bring your awards and/or sportswear ideas to life! Or call us today to speak directly with a Representative.